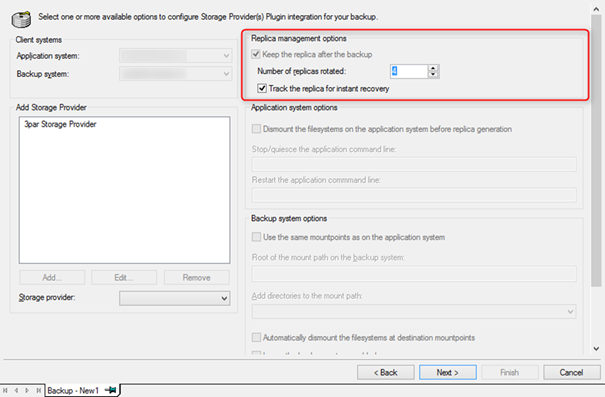 This post will guide you through the basic configuration, backup and restore (Power On/Live Migrate) for VEAgent backups (VMware) hosted on 3PAR storage systems. This functionality has been introduced with Data Protector A.09.04_104. While this guide is considered as a good starting point you should also check the ZDBAdmin.pdf and ZDBIntegration.pdf for complete documentation, list of limitations and troubleshooting procedures. There are a few steps that must be done once to make the ZDB work. The first step should be the installation of the required storage provider (HP P6000 / HP 3PAR SMI-S Agent) on your backup host. Of course the Virtual Environment Integration is required to perform VMware backups. This guide assumes that you’re familiar with the required procedures (installation, vCenter import). Make sure that the CIM provider on your 3PAR system is started. Once the provider is up and running you should be able to register the storage system with Data Protector. You should check the connection before proceeding. HP 3PAR provider authentication data updated for user 3paradm at host blackhawk.syncer.de. Starting configuration check on host wildfire.syncer.de. 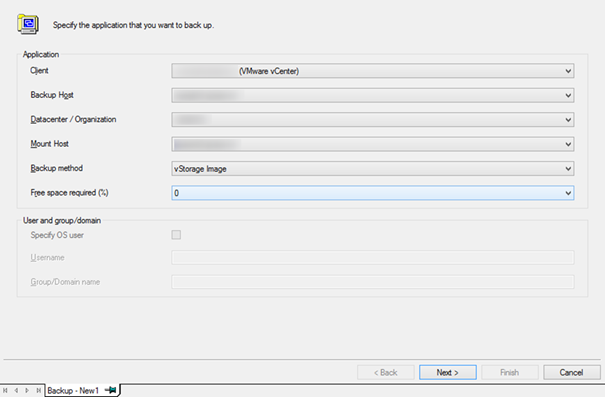 Create a new VEAgent backup specification and make sure you select Snapshot or split mirror backup as Backup type. The selections here are the same with one addition. You need to specify a mount host that is used for snapshot verification during the ZDB process. You can use one of your existing ESXi hosts for this task. 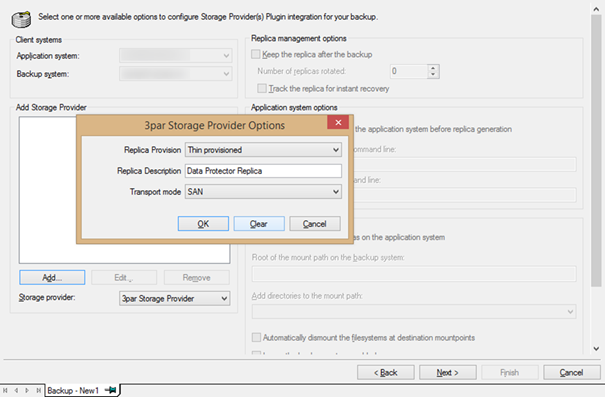 Add the Storage provider to the configuration. The defaults will work quite well in most of the cases. To enable Power On, you need to select Keep the replica after backup and Track the replica for instant recovery. Specify the amount of replicas to retain based on your needs. Select any VMs and options based on your requirements, including quiescing to allow application consistent snapshots. In case of 3PAR the VMs should reside on datastores not presented to 3PAR host sets OR presented as 3PAR volume sets to the ESXi hosts. Hopefully this limitation is resolved in a future version, since especially host sets are quite common. Before saving the specification remember to a backup device, a suitable data protection and other options required. 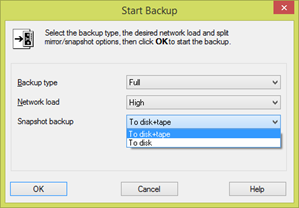 Once saved you’re able to the perform the Zero Downtime Backup (ZDB) either to disk (Snapshot) and tape (Backup device) or just to disk (Snapshot). 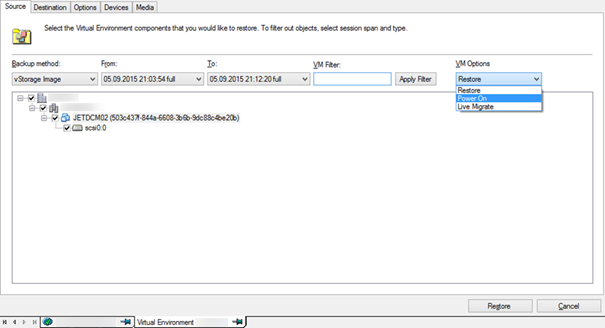 While the ZDB is running you’ll notice a Snapshot created on the 3PAR. Based on your configuration those are kept for future Power On sessions. The vCenter will report snapshot creation/deletion as well as some mount activity from the mount host. Here is a session report for a disk + tape backup session on 3PAR for a single VM. OB2BAR application on "wildfire.syncer.de" successfully started. Use the same mount points as on the application system. Resolving backup objects on the application system. Resolving of backup objects on the application system completed. Creation of replica started on host wildfire.syncer.de. Creation of replica on host wildfire.syncer.de completed. Virtual Machine 'JETDCM02': Getting Changed Blocks for disk scsi0:0. STARTING Media Agent "B2D_ESX_wildfire [GW 48572:0:7712191451340901461]"
Starting OB2BAR Backup: aero.syncer.de:/4/aero.syncer.de%2F503c437f-844a-6608-3b6b-9dc88c4be20b "VEAgent"
Target-side Deduplication Statistics for aero.syncer.de:/4/aero.syncer.de%2F503c437f-844a-6608-3b6b-9dc88c4be20b "VEAgent". Completed OB2BAR Backup: aero.syncer.de:/4/aero.syncer.de%2F503c437f-844a-6608-3b6b-9dc88c4be20b "VEAgent"
OB2BAR application on "wildfire.syncer.de" disconnected. The backup system was successfully resumed. COMPLETED SMIS-Application agent on wildfire.syncer.de. COMPLETED SMIS-Backup agent on wildfire.syncer.de. COMPLETED Media Agent "B2D_ESX_wildfire [GW 48572:0:7712191451340901461]"
Compared with the preparation the Power On is quite simple. 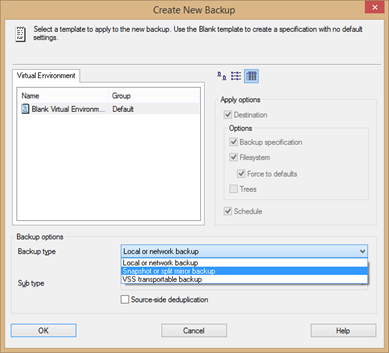 Select the VM from the list of available backups. In case the VM is located on a Smart Cache device OR it was backed up in a ZDB session with Instant Recovery option additional VM Options are displayed. You will be able to Restore, Power On or Live Migrate the VM. The Restore button will change accordingly to Power On or Live Migrate to indicate your selection. You don’t need to change the destination or VM name, since the VM will be made available with a temporary name and network disconnected. The Power On will just take a few seconds to present and register the VM in vCenter. A VM that has been Powered On will be removed automatically after 24 hours in case it was not migrated elsewhere. This is done as a general cleanup procedure triggered by daily maintenance. Information is logged to the poweronvms_cleanup.log on the Cell Manager.